Mercure Sydney International Airport has just rebranded to Novotel Sydney International Airport, following the completion of a multi-million dollar refresh. 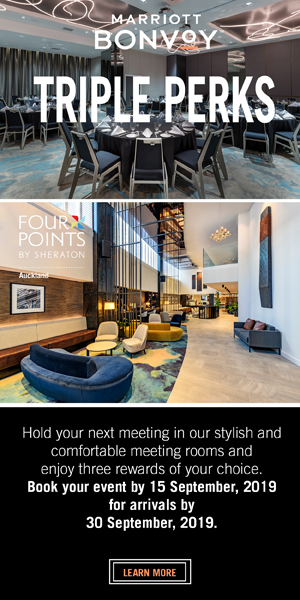 Situated just 1km from Sydney’s Airport precinct, the popular hotel amongst frequent business flyers and leisure guests remains under the Accor banner, as a Novotel. Novotel branded hotels around the globe are known for providing a multi-service offering for both business and leisure guests, with spacious, modular rooms, 24/7 catering, balanced meals, meeting rooms, attentive and proactive staff, child-friendly spaces, a multi-purpose lobby and fitness centres. Working closely with WMK Architects, the hotel’s recent multi-million dollar refresh has seen an upgrade to the lobby, guestrooms and grand ballroom. Guest rooms are enhanced with block out curtains and double-glazed windows to help provide a good night’s rest for travellers. The new design incorporates a botanical theme throughout with contemporary, vibrant elements utilising wooden accents, botanical wallpaper and pops of colour. The hotel’s restaurant and bar concept will be reimagined with a new menu to launch in coming weeks that will feature a paddock to plate philosophy with an emphasis on supporting local Australian producers. Meetings and events have not been forgotten with the grand ballroom, which accommodates up to 400 delegates, also receiving a makeover. Providing vehicular access, operable walls and flexible arrangements, the grand ballroom can accommodate all types of occasions from business conferences to social events. Meetings at Novotel will feature the InBalance theme, which aims to leave each guest with a calm and motivated attitude. InBalance offers a range of health benefits for delegates, created in conjunction with Novotel’s Wellness Ambassador, Sally Fitzgibbons. Located just minutes from the International Terminal, Novotel Sydney International Airport offers guests a full suite of activities designed to banish jetlag – including bushwalking in the Wolli Creek Valley, Cooks River and parklands just opposite the hotel and Kogarah Golf Course. Now, with its new look and name the hotel provides an even more appealing layover for travellers in and out of Sydney. With ample car parking onsite, the hotel is the ideal base for travellers who need to drive a distance to reach the airport. With special stay, park and fly packages available, it makes travelling interstate or overseas even more convenient and affordable.